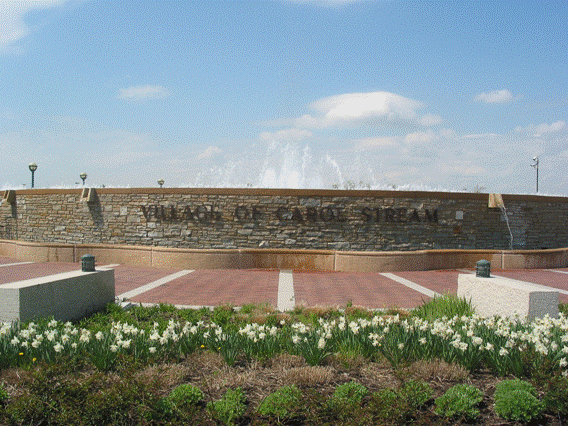 In the last year, Carol Stream economic development has been booming. Several projects (listed below) have resulted in over 1 million square-feet of new or expanded industrial building space. These projects have either been completed, are currently under construction, or under review. Construction has been completed in October 2016 on an 84,000 square-foot addition to the company’s existing 210,000 square-foot Parts Distribution Center. Future plans call for further expansion of the Parts Distribution Center, and possible construction of a Central-US Technical Learning and Performance Training Center. In October 2016, DCT Industrial completed the teardown and redevelopment of a 20-acre property on North Avenue (IL-64) with a new 350,000 square-foot build-to-suit for CoreCentric Solutions. The reverse logistics supply chain company, serving the appliance and other industries, consolidated its three previous locations in Carol Stream, Glendale Heights and Hanover Park into this single, modern building. For more information, click here. Construction is currently underway on a 33,000 square-foot addition to Packaging Personified’s 81,000 square-foot headquarters facility. Packaging Personified is a flexible packaging manufacturer serving the food service, consumer products, medical, lawn and garden, and pet care industries. Work is scheduled to be completed in July 2017, and the company will add 5 new jobs in the near term, with plans to add 25 jobs over the next few years. Antunes, a custom solutions provider of countertop cooking equipment and water filtration systems for restaurants, is expanding their headquarters facility in Carol Stream. Construction is currently underway to bring their existing facility’s footprint to 144,000 square-feet (a 40,000 square-foot addition). Construction will be completed in August 2017, and the company plans to add 30-50 jobs as a result of the expansion. Dermody has demolished a 240,000 square-foot, obsolete building on North Avenue to make way for a modern, 381,000 square foot LogistiCenter, designed specifically to accommodate a future e-commerce tenant. As the largest new construction opportunity in the Central DuPage submarket, this state-of-the-art building is anticipated to be completed in Spring 2017. S&S International, a specialty sheet metal fabricator, is currently in permit review for a 100,000 square-foot addition to its existing facility, located at St. Paul Boulevard in Carol Stream. Devanco Foods, a manufacturer of gyros, chicken, Italian beef, Italian sausage, hamburgers and other meat products, moved to Carol Stream from Elk Grove Village in 2016. The company has already started construction of a 30,000 square-foot addition to their new facility. For the last five years, ComEd has updated and modernized its electrical grid to improve the reliability of its service to customers. The work has resulted in record setting performance that is also helping to power economic development and customer satisfaction. In 2016, ComEd customers experienced a 15% reduction in the frequency of outages compared to 2015. This was best among all utilities according to Electric Benchmarking. Since investments began in 2012, frequency of outages has been reduced by nearly 34% and the duration of outages has been reduced by 48%. Additionally ComEd’s customer’s satisfaction ratings are at an all-time high. Market Strategies International, a top market research firm, named ComEd Most Improved Electric Utility of 2016. Advanced technology like smart switches that reroute power around potential problem areas, new storm hardening solutions and cable replacement have contributed to more than 7.6 million avoided customer interruptions since 2012 – resulting in $1.4 billion in societal savings. Additionally, more than 3 million ComEd customers experienced zero or only 1 outage last year. Strong power reliability and Illinois’ low power prices are key attributes why businesses continue to commit to building facilities in our northern Illinois service territory. This is evidenced in the collective 2016 results of ComEd’s economic development allies which supported the announcement of 39,234 jobs, 59 million square feet in facilities, and $6.7 billion in capital investment.